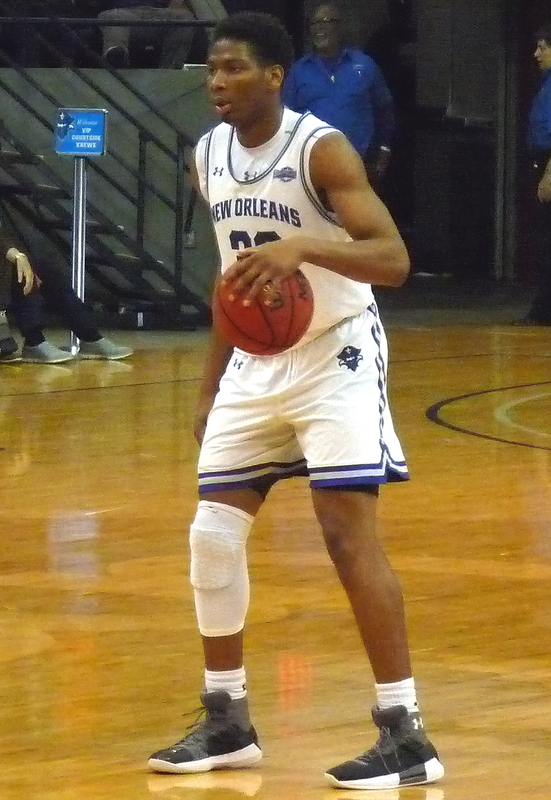 The Privateer basketball season is really over this time, after losing a late lead and falling 71-69 at Campbell in the CBI quarterfinals. New Orleans (16-17), which led 44-34 in the second half, surrendered the lead to the Camels but regained it shortly after, going up 63-60 on a late Tyren Harrison putback before Campbell hit a 6-0 run. Then, Harrison's old fashioned three-point play off another offensive board tied the game with 52 seconds left. That set the stage for the frantic finish. The Camels' all-everything guard Chris Clemons swished a roughly 30-footer with 20 seconds left. After a timeout, UNO's Zeke Charles stepped back and swished his own three, his fifth of the game, to tie it with 7 seconds left. Then, some shaky Privateer defense gave Cory Gensler a clean look from about 17 feet, and he banged it home for the last-second victory. Clemons led all scorers with 35 for Campbell. Charles had a fantastic effort for UNO with 19. Scott Plaisance and Troy Green added 11, and Makur Puou closed his college career with 10 points and 11 rebounds.